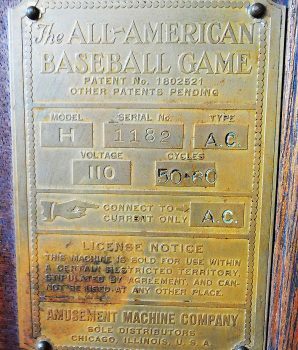 The “All American Baseball Game” by Amusement Machine Corp., circa 1929-1931, is an extraordinary example of a museum quality baseball arcade machine. 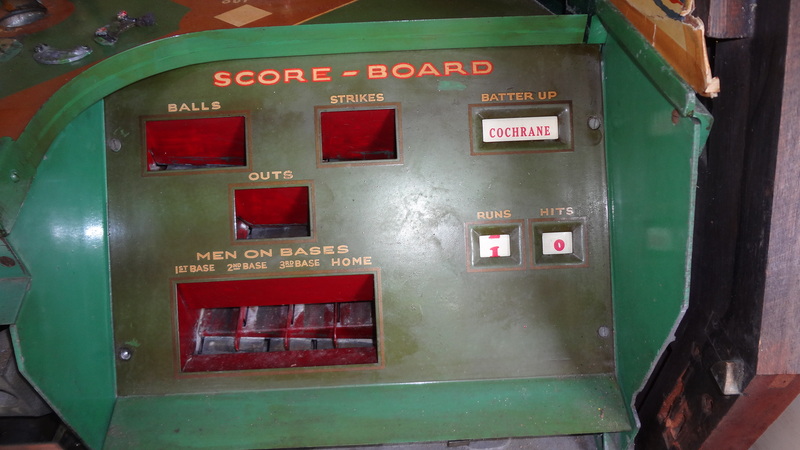 This impressive American machine is regarded as the finest baseball arcade game ever produced. It measures 58″ tall. The cabinet, beautiful of line and finish, harmonizes with the most carefully planned interiors. Outstanding because of the colorful design of sign and background, the appeal of this game is irresistible. 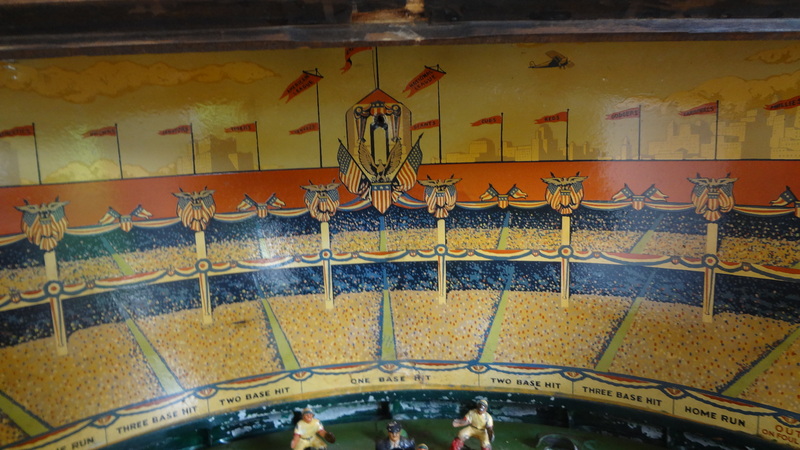 The dropping of a coin in the slot starts the action instantly. The pitcher actually throws the ball at regularly timed intervals, varying his direction of delivery with each ball pitched. 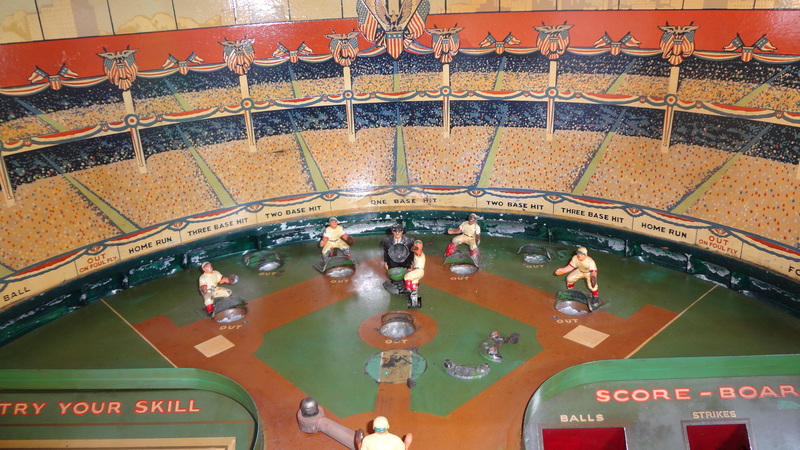 The manikin players include real American baseball players of the time, such as Babe Ruth and Lou Gehrig. 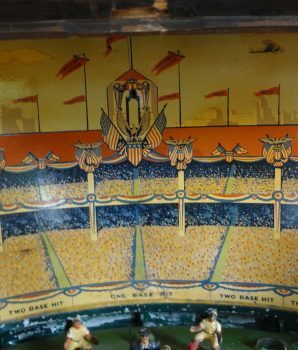 All action is automatic except the release of the bat. 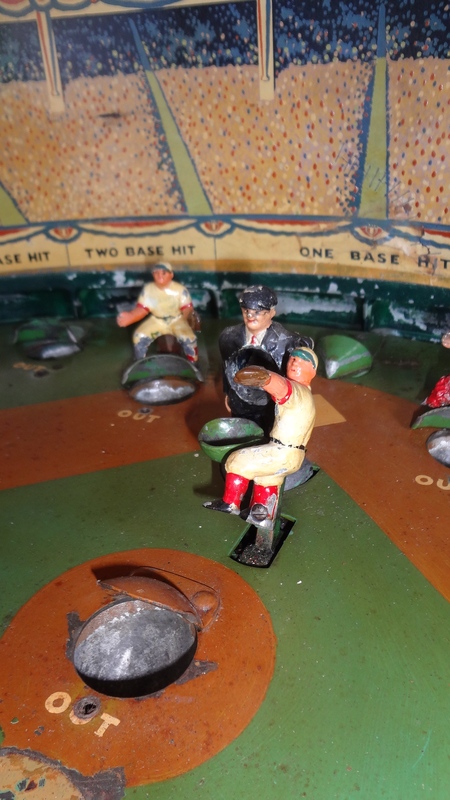 This is controlled by the individual player, who may elect to strike at the ball pitched, or let it go by. 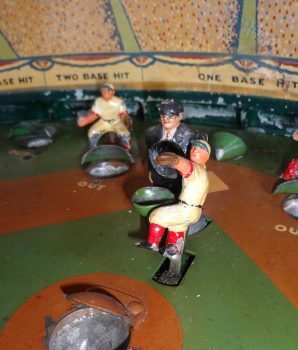 If the ball is allowed to go by, the Umpire indicates whether it is a “strike” or “ball” by raising his right or left arm. If the ball is hit, it may result in a “safe hit” of either 1-2-3-4 bases or it may result in a fielded out. 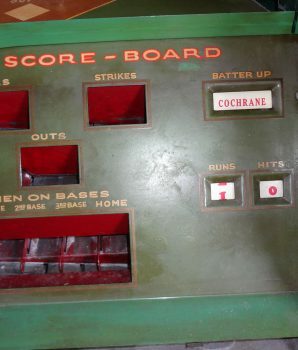 The scoreboard shows at all times the name of the “Batter-up” — “Strikes and Balls” charged against the batter, number of Outs for the half inning position of men on base and totals of “Hits” and “Runs” made during the inning. 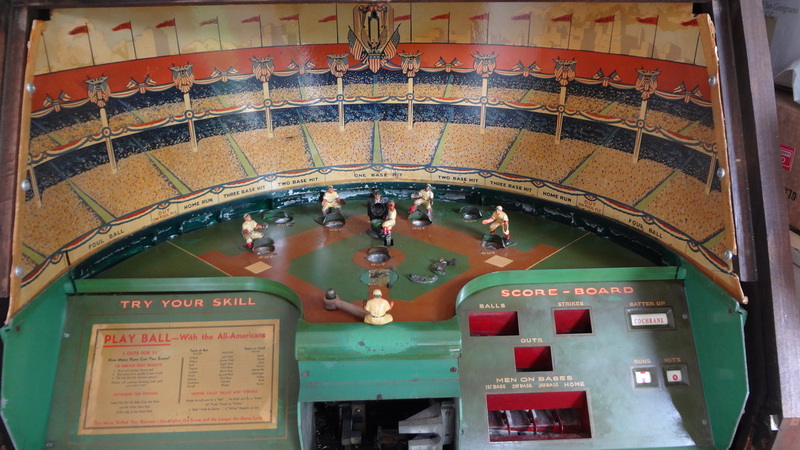 The pitcher continues to pitch until three “Outs” have been scored, whereupon the machine cancelling all records except the “Hits” and “Runs” totals, which remain visible until the next coin is deposited. 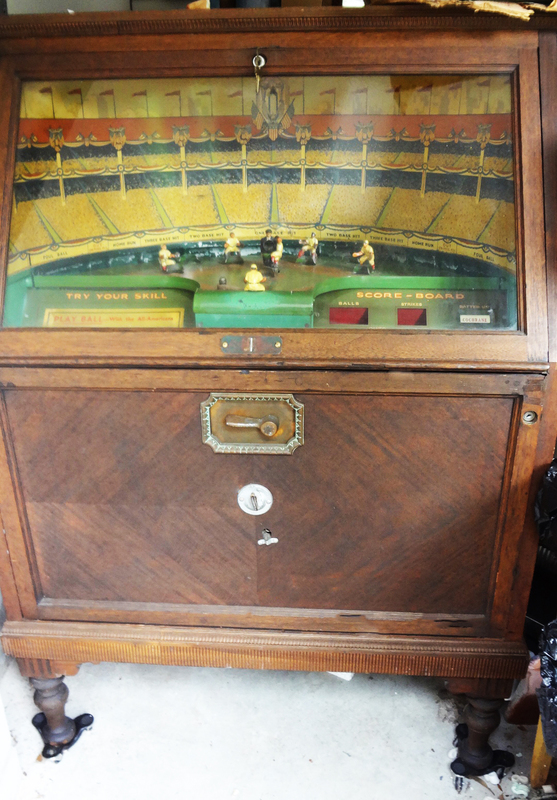 This baseball machine is very attractive with turned legs in a handsome walnut cabinet. 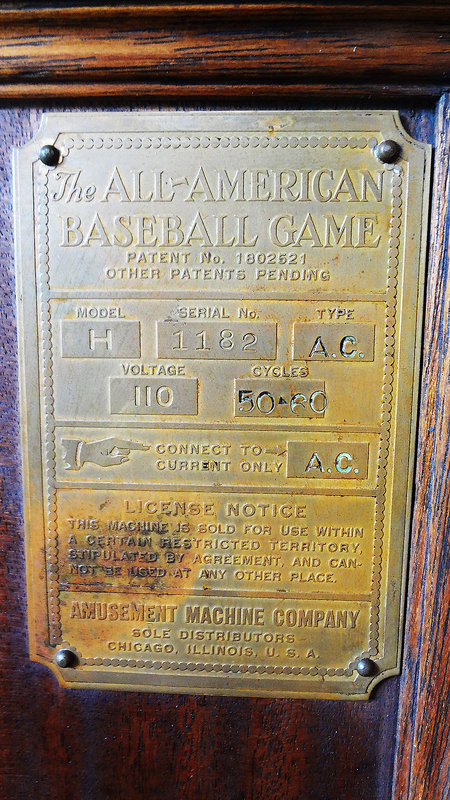 A metal plaque on the game with serial number “1182” indicates this game is Model “H” and the sole distributor was the Amusement Machine Company of Chicago, Illinois. 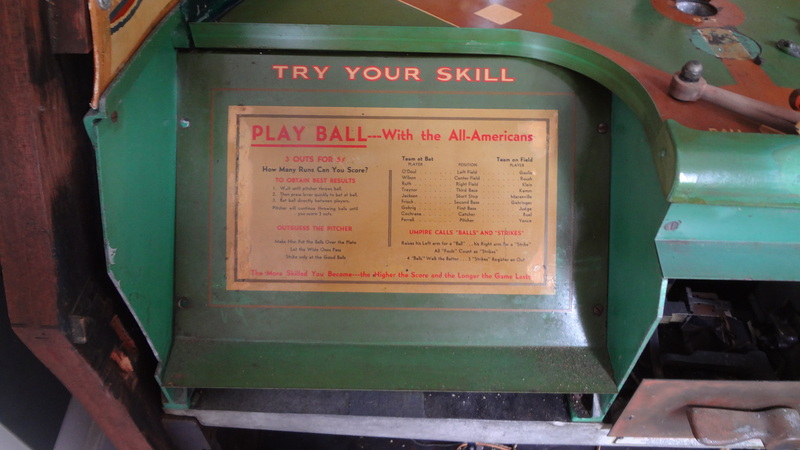 Few of the 1929 All American Baseball Machines are known to exist. 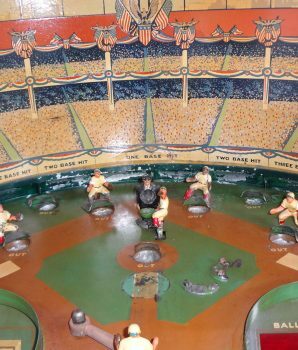 This machine is so positive in its action, and so nearly human in its reproduction of actual outdoor baseball, that it maintains a high degree of interest and attracts lovers of baseball whereever it is located. 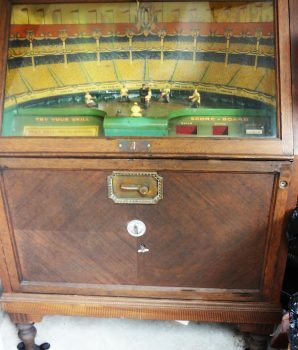 In 1937, Rockola produced the Rockola Worlds Series Baseball Machine, a copycat version with a 1950s look and a veneered cabinet. 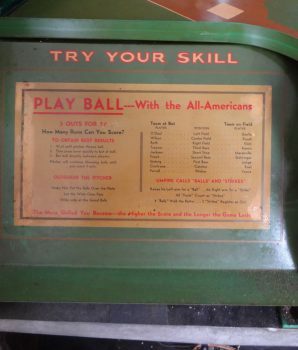 The 1920s All American Baseball machine cabinet was not similar to the Rockola by any stretch of the imagination. 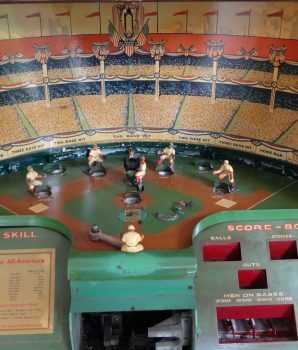 This baseball machine is in excellent working condition.